Destiny Dance is committed to the belief that everyone is capable of greatness and dance is a great way to tap into one’s self. Through our private lessons and group classes we incorporate tools that will not only challenge you, but really just bring out your joy and passions. 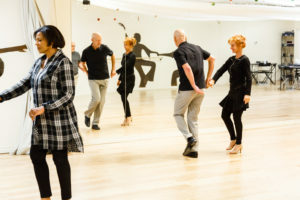 Movement has such a strong connection to emotion as well as intellect, and incorporating all three components (movement, emotions, and intellect) in partner dance is as affirming and empowering as it is therapeutic and relaxing. Join so many others like you who have sought to improve the day to day scenery of “work-home-home-work” by adding this vibrant and fulfilling hobby to their lives! Click here to Book your Free Introductory Lesson!